The Office of Mortgage Settlement Oversight assists Joseph A. Smith, Jr. in monitoring the participating servicers’ obligations to provide relief to distressed borrowers and adopt new mortgage servicing standards. 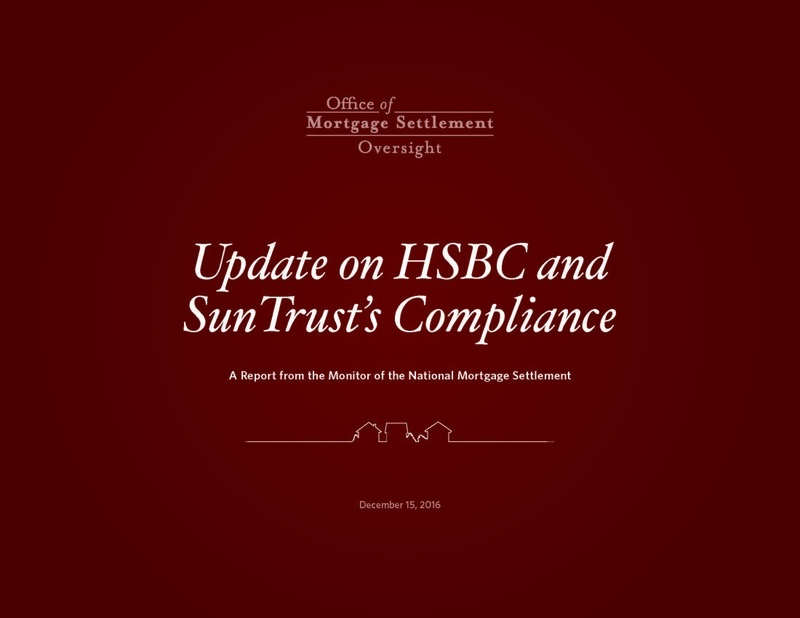 Joseph A. Smith, Jr. Monitor of the National Mortgage Settlement, filed his reports on SunTrust's metrics testing results from second half of 2017. The Monitor continues to monitor the compliance activities of Ocwen and SunTrust and consumer relief activities of SunTrust.